Why? Because gratitude often comes alongside a “should,” and that “should” is disempowering — it cripples the power of gratitude. The power of gratitude is in the EMOTION behind it. 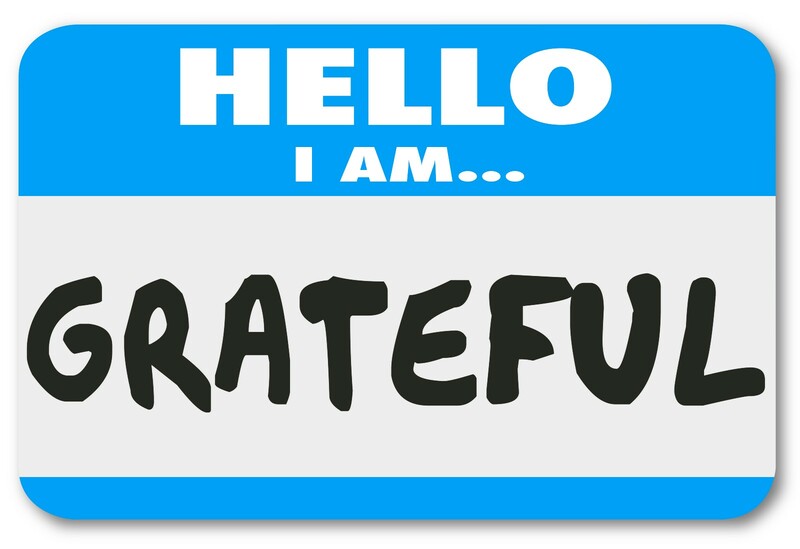 It is one thing to say you are grateful for something, and it is another to FEEL grateful for it. I witness this ALL the time in my classes when I use gratitude journaling with my students, and I experience it myself when I have had a rough week! BASIC lists. You know, things like air, water, food, shelter, family, dog… To be fair, maybe you are feeling PUMPED about being able to breathe and drink water. I mean, HOW GREAT ARE AIR AND WATER? But, most likely, you are leaning on those “shoulds” and not cultivating a true, deep feeling of gratitude. You are going through the motions of gratitude without taking the time to really appreciate what you have. The basic practice is great (we all have to start somewhere! ), but the power in acknowledging and loving what you have is transformative. A year or so ago as I was thinking about the difference between stating your gratitude and deeply feeling gratitude, and how to change the habit of simply expressing gratitude into the powerful tool that is feeling gratitude, I was led to an incredible TED Talk by Brother David Steindl-Rast, a monk and interfaith scholar. I learned so much watching this talk, and I highly recommend you taking the 14 minutes and 30 seconds to watch it yourself (or with your class) — lessons abound. But, in the meantime, I thought I would share a quick tip from Brother David Steindl-Rast along with a few journal prompts to jumpstart your reframing of gratitude and new gratitude practice. So, you are going through the motions of gratitude but not really feeling it. What do you do? Back to the ice cream cone example (silly and simple, I know but bear with me!). I would imagine the the very first time — maybe even the first few times — you were handed an ice cream cone (or some other treat, gift, etc.) you were genuinely really excited and grateful. Perhaps even the first few thank you notes you sent for your birthday presents felt good, but by the time you were on number 10 the whole expressing gratitude thing had become a little mundane. There are things in life that as they continue to happen become less special, perhaps even taken for granted. I know when I moved into my first “adult” apartment, every day (seriously, every day) I would open my door look into my home and shout “THANK YOU! I LOVE THIS APARTMENT.” This went on for many months, but eventually I got used to my nice, new apartment and the feeling of gratitude tapered off. It happens. And, recapturing that essence is hard work. In Africa where I was, I didn’t have drinkable water. Every time I turned on the faucet, I was overwhelmed. Every time I clicked on the light, I was so grateful. It made me so happy. But after a while, this wears off. So I put little stickers on the light switch and on the water faucet, and every time I turned it on: WATER. So leave it up to your own imagination. You can find whatever works best for you, but you need stop signs in your life. I love this idea, and you better believe there are now post-its adorning my apartment and belongings to remind me to stop and reflect on the feeling of gratitude for all that I have in my life. Stop. Get present. Be mindful. Pause and leave space to recognize what you have in your life. Look. Use your five senses to experience your gratitude — experience the light switch, the water, your journal, perhaps a learning opportunity. Go. Take action. As Brother David Steindl-Rast explains, the action is often to “enjoy,” but could also be to find the lesson (the opportunity) in a difficult situation. The idea of living moment to moment and viewing each moment as a gift to enjoy, is beautiful. I won’t say it’s easy — I know it’s not. But, if you’re ready to be happy, it’s worth a try! What are three things that you “know” you are grateful for, but that don’t light you up like they used to? What “stop signs” can you add to your life to remind yourself to feel grateful for these things? How can you take this practice into your classroom and/or work environment? How do you think being grateful for every moment would change your day-to-day experiences? Adapted from version published at medium.com on September 26, 2016.